The last hope of the self assumed Chairman of APC in Rivers state Ojukaye Flag Amachree was on Wednesday 31st of October 2018 dashed as Appeal Court sitting in Port Harcourt struck out motions filed by his Counsel requesting to be joined in the case between 23 LGA Delegates led by one Ibrahim Umar and 22 others against All Progressives Congress. The Appeal Court CASES Suit No. CA/PH/198/2018 and TCA/PH/198/2018 regarding the motions and Objection to the Joiner were all thrown out as the judgment of the Supreme Court had overtaken such legal actions. It would be recalled that the Ojukaye Flag-Amachree’s led APC in the state filed an appeal to set aside the Justice Chiwendu Nwogu’s ruling of the State High Court which nullified the APC state congresses and the nomination of Arc. Tonye Dele Cole as the party’s governorship flag bearer in the forthcoming general elections. As the matter was mentioned in court Wednesday morning, Prince Onyekwere Ozunda, who represented the APC state Chairman, Ojukaye Flag-Amachree, presented motion for withdrawal as party seeking to be joined in the matter and the request was granted for the relieve of Ojukaye from matter and the motion was struck out. With this action taken and at this point the three man appeal panel led by Justice Caroline Jumbo-Ofor, had a brief break to reconvene in few minutes. When they reconvened about an hour later, the lead Counsel to the respondent (Ibrahim Umar and 22 aggrieved APC members) in the appeal, Henry Bello Esq, seek for the withdrawal of his pending motions filed on September 13, 2018 to regularize the Respondent’s appeal of argument, and withdrawal of motion for Stay of proceedings filed on same date and withdrawal of further affidavits filed on October 2nd of 2018. Reacting on the request by the Respondents’ Counsel, a Senior Advocate of Nigeria, SAN, Dr J. Olajoke, who was the recognized Counsel for APC, objected to the withdrawal of stay of proceedings dated on September 13, 2018 as he opposed the motion of withdrawal of notice for enlargement of time dated and filed same date by the respondent. In the issuing legal argument Dr Olajoke told the court that the withdrawal of a motion by the respondent was a trick to immediately file in a substitute motion as he stated that the applications for withdrawal by the respondent constitute an abuse for judicial process and will cause further delay of the matter, he therefore, urged the court not to allow the motion to be withdrawn but stay for proceedings to continue. Ruling on the withdrawal of the motions, the lead panel, Justice Caroline Jumbo-Ofor overruled the objection by the applicant/Respondent’s Counsel, thereby struck out all the motions as requested by the respondents counsel. 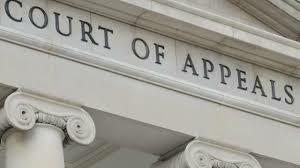 Justice Jumbo-Ofor further adjourned the matter till November 14, for adoption of addresses. She directed the parties to respond to their addresses within five days from the day of the sitting. CONCLUDING, the Appellate Court awarded cost of N30, 000 against the Ojukaye while N20, 000 was awarded against the Respondents’ in the appeal. With this Senator Magnus Ngei Abe remains the only legitimate Rivers State APC Governorship candidate giving the Independent Electoral Commission—INEC conditions and deadline for substitution of candidates for the 2019 General elections.